UK SMEs with their sights set on international expansion – the UK’s next mini-multinationals – are being hindered by poor service, unclear fees and a lack of appropriate products when using banks for international currency transfers, according the latest research by currency experts, World First. The survey of over 1,000 senior decision makers at UK SMEs currently trading internationally found of those using a bank for their currency transfers, more than half (52%) felt their bank did not understand their FX needs. Furthermore, 53% of SMEs using a bank admitted to not understanding the charges applied to their international currency transfers, whilst nearly half (49%) stated that their bank fails to offer them a full range of appropriate products to help them manage their FX needs. Additionally, almost a third (30%) said they did not think their bank acted in their best interests when managing their FX needs. The research also highlighted the global ambitions of many UK SMEs with 87% of SMEs stating that international expansion was one of the best ways to grow their business. The chasm between the international ambitions of SMEs and the suitability of banks to serve their FX needs – one of the most important factors in any business looking to grow internationally – is clearly a cause for concern. 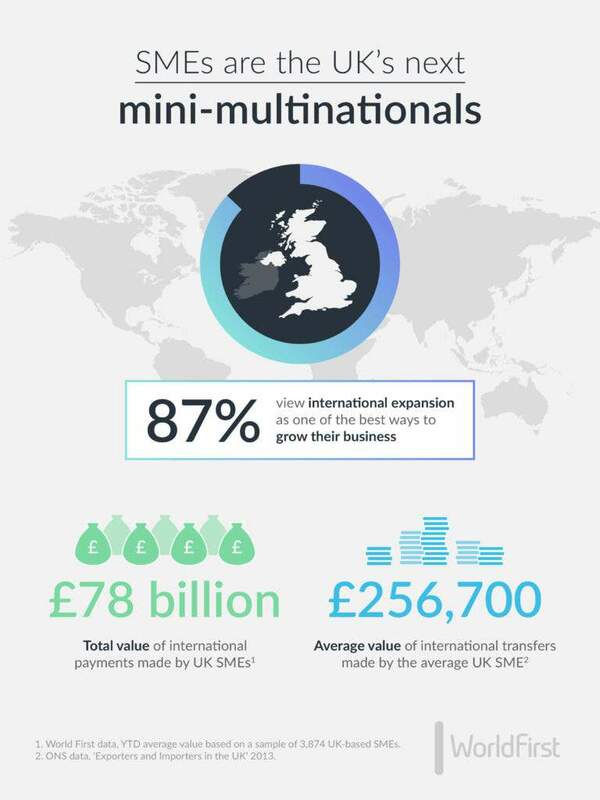 This is particularly true considering UK SMEs make a total of £78bn in international transfers annually. Despite such obvious dissatisfaction, the vast majority (65%) of SMEs still use a bank for their international currency needs, with 49% of these saying that they simply use the same bank that they have their business’ current account with. However, 65% of businesses also said that they would switch to an alternative if they knew of a credible provider. Methodology: 1,006 senior decision makers at UK SMEs with foreign exchange needs were interviewed between 30th November and 3rd December 2015 by Censuswide.